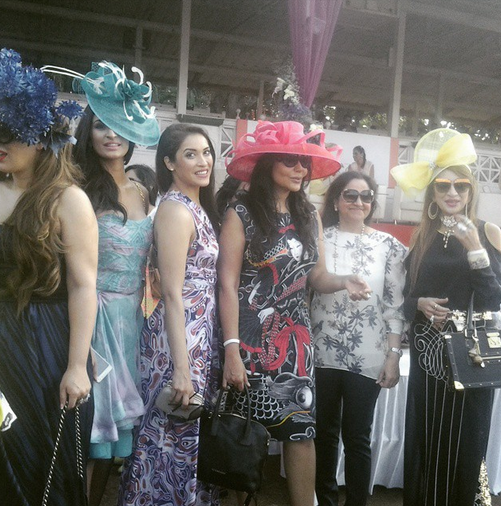 Top Indian fashion and lifestyle blog: Fascinators at Races- are they mandatory? 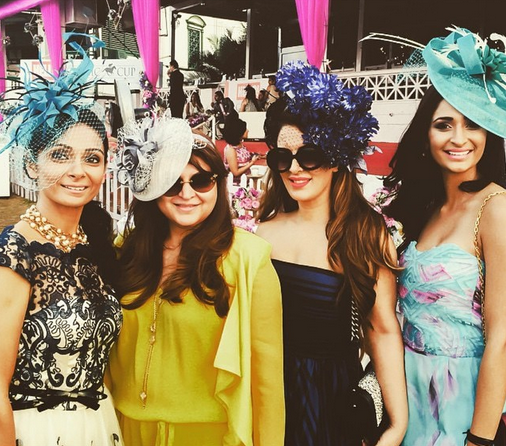 Fascinators at Races- are they mandatory? 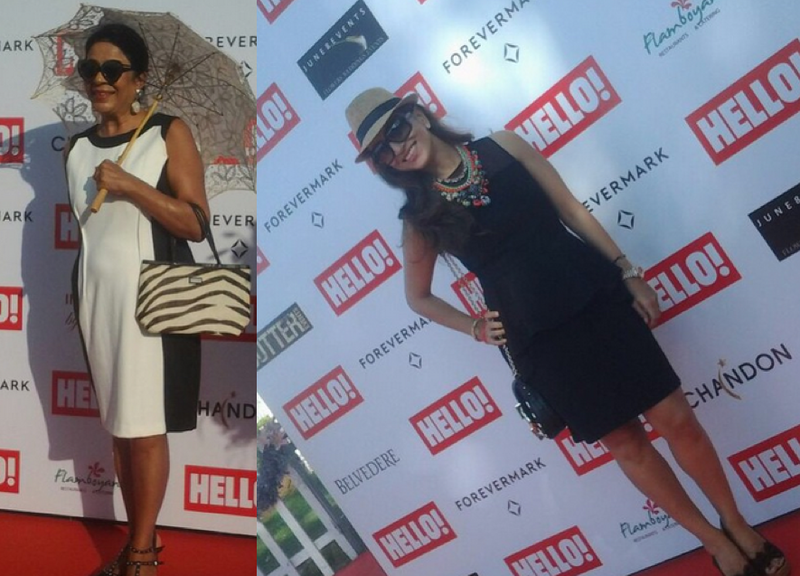 At the Hello Races, we saw mostly all women wear fascinators. Even the most confident diva can be unsure at the time of Derby as to what to wear and what not to wear. What is the dress code? Are fascinators must have? 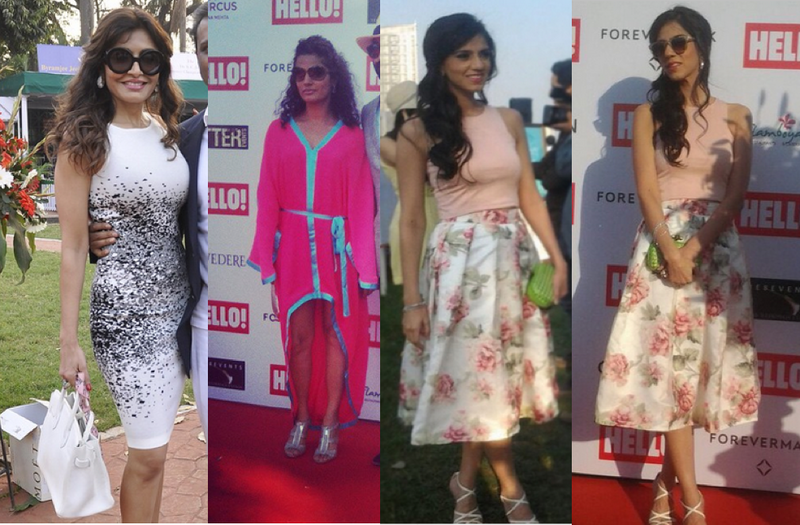 Are they in fashion or out of fashion? What are the rules? 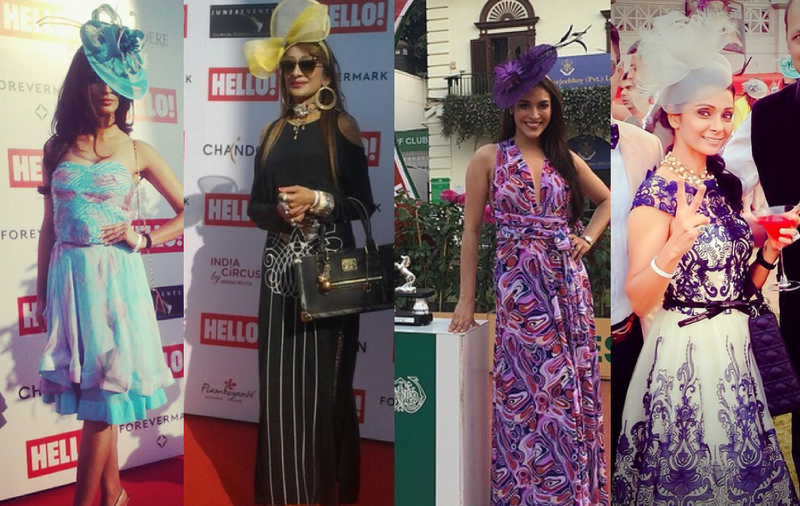 Is less more when it comes to fascinators? How dramatic can you be? Fascinators conjure up the images of feathers, trims, nets and flowers put dramatically on your head. These are evolved head pieces. Fascinators make you avoid big old hats. Fascinators are very much in vogue. You can also try for other options in headpieces like floral ones or head jewelry. 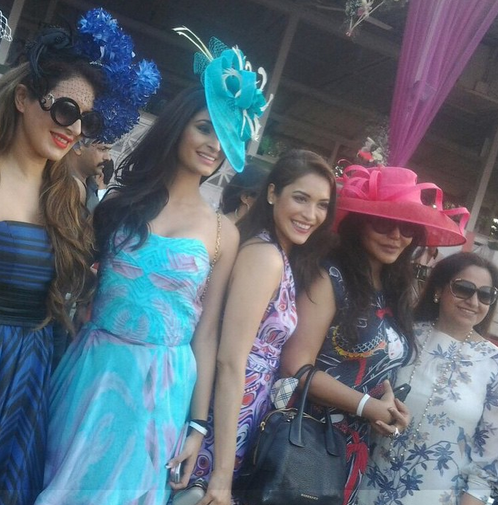 Check some of the interesting fascinators spotted at the races yesterday. 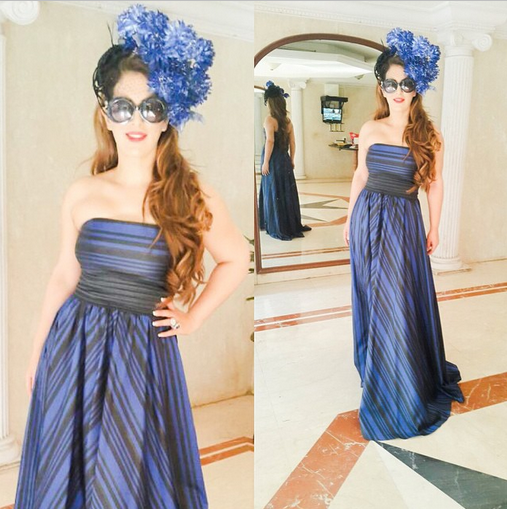 Pria Kataaria Puri wore an Oscar de la renta gown in tafta silk. She teamed it with Philip Tracy fascinator. This one takes the cake. This, for us is an ATTITUDE. 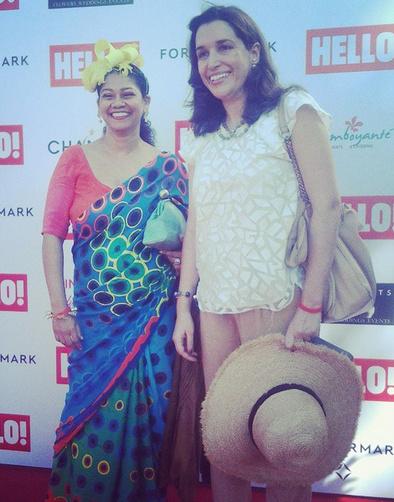 Sporting a fascinator with a sari. So cute. 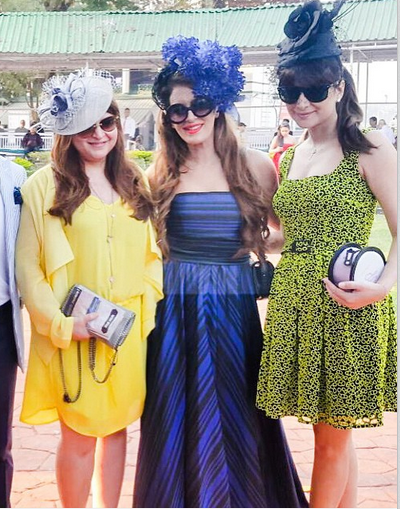 These were few women who came without fascinators- Queenie Singh, Kamal Sidhu, Nishka Lulla. These women had some other options- lace umbrella and hat.